'SELT' means Secure English Language Tests. These are tests accepted by the UK Visas and Immigration for visa applications where evidence of English language ability is required. Trinity Examination Board is an approved provider of SELTs in the UK. 2.What are GESE and ISE? GESE (Graded Examinations in Spoken English). GESE is a test of speaking and listening. ISE (Integrated Skills in English). ISE is a test of all four language skills : reading, writing speaking and listening. The exam you need depends on the visa you require. 3.What exam do I need to take? The exam you need depends on the visa you require. Call us for help. 4.How long does the exam take? 5.How do I prepare for the exam? Upon registration we will provide you with Training Materials and Unlimited phone support. 6. I have a valid exam result from before 6 April 2015. Can I still use it for my visa application? You can use your valid exam result from before 6 April 2015 only until 5 November 2015. 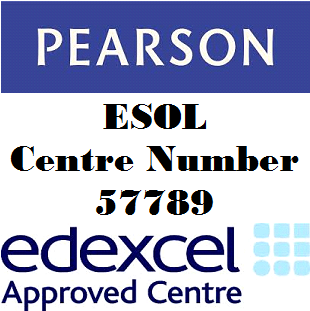 After 5 November 2015, UK Visas and Immigration (UKVI) will accept only exams taken at Secure English Language Test(SELT) Centres, such as Trinity's. 7.Where can I take a Trinity SELT exam? 8.When can I take a Trinity SELT exam? You can take a GESE or ISE exam throughout the week at any Trinity SELT Centre. To find a suitable date, search for an exam. 9.How much does a Trinity SELT exam cost? 11.How do I book an exam? You can book your SELT exam by clicking here. 12.I have a disability. What support is there for me? Please tell us if you have any special needs at the time you book your exam. There is a space on the booking form for you to do this. We will make every effort to take care of your needs. 13.What ID do I need? Your ID must be valid on the date of the exam, and you must have it with you on the day of the exam. 14.What if I enter the wrong details? If you entered incorrect details, please contact our Customer Service team on the number above as soon as possible. If the details on the booking form are not the same as the details on your ID, you will not be able to take the exam. 15.What if my personal details change? If your personal details change after booking the exam, please contact our Customer Service team on the numberbove as soon as possible. If the details on the booking form are not the same as the details on your ID, you will not be able to take the exam. 16.What if I need to postpone or cancel my exam? If you need to postpone or cancel your exam, please contact us. It is not possible to re-schedule your exam or make any changes to your personal details after 9:45am the office day before the exam. 17.What if I cannot attend the exam? If you can't attend the exam, please contact our Customer Service team immediately. 18.What if I'm delayed or late for the exam? If you are delayed or are going to be late, please contact us. The registrar at the exam centre will decide if you can take the exam or not. 19.Where do I leave my belongings when I take the exam? Staff at the Exam Centre will provide lockers to put your belongings in during the duration of your exam. You are not allowed to take bags, mobile phones and other personal items with you into the exam room. 20.When will I get my certificate? GESE - The result is given on the day of the exam, and usually the certificate is sent to you within 7 days. ISE - If you pass ISE, usually send the certificate to you within 15 working days. Delivery is by first class post (or secure, guaranteed delivery if selected at the time of booking). How soon can I re-take the exam if I fail? You cannot book for a re-take until you know the result of the previous exam.